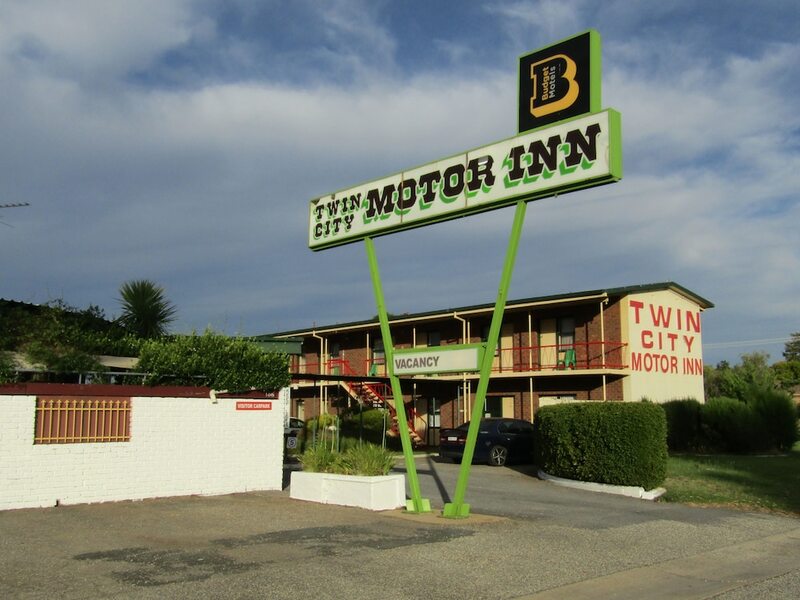 Located in Wodonga, Twin City Motor Inn is a 4-minute drive from Belvoir Park and 5 minutes from Wodonga Golf Course. This motel is 15.2 mi (24.4 km) from Lake Hume and 3.1 mi (5 km) from Hothouse Theatre. Make yourself at home in one of the 29 air-conditioned rooms featuring refrigerators and flat-screen televisions. Complimentary wireless Internet access is available to keep you connected. Private bathrooms with showers feature complimentary toiletries and hair dryers. Conveniences include desks and coffee/tea makers, and housekeeping is provided on a limited basis. Enjoy recreation amenities such as a seasonal outdoor pool or take in the view from a garden. Additional features at this motel include complimentary wireless Internet access, a picnic area, and barbecue grills.